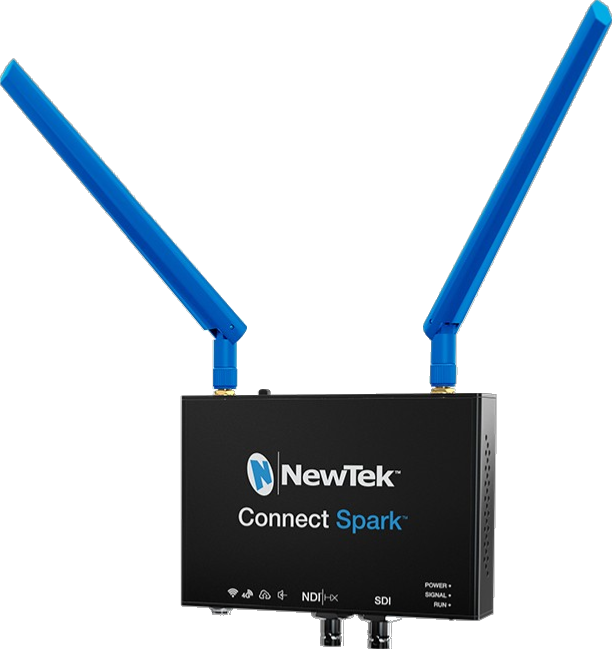 NewTek Connect Spark™ converts your SDI video source to NDI®|HX to send live video through your local network over Ethernet or WiFi for use with other NDI® compatible systems. Connect your video cameras and other devices wirelessly to your live production system, video applications or streaming device. Output NDI|HX up to 1080p at 60 fps Wired or Wireless. Capture any SDI video source and convert it to IP, with embedded audio. Direct Recording to an SD card or USB storage. High-quality audio analog and embedded digital sources. Tally Program and Preview Tally (NDI). © 2019 3D Storm. All rights reserved. All prices are without VAT.